TOSR120 is an upgraded version of TOSR02. It supports password. It can be set to latching or momentary outputs. 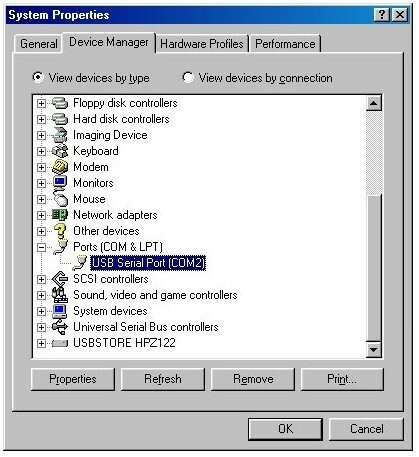 TOSR120 allows computer control switching of external devices by using the USB port of your computer. 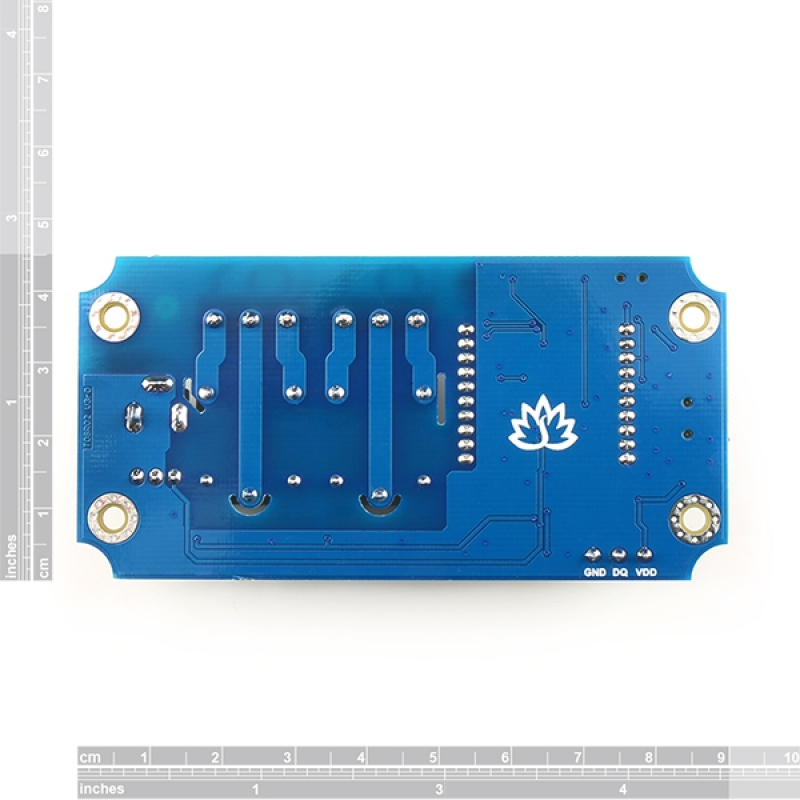 It also has a wireless extension port, can works with Xbee or BluetoothBee or WiFibee Module, So you can control your device via zigbee or Bluetooth or WiFi! 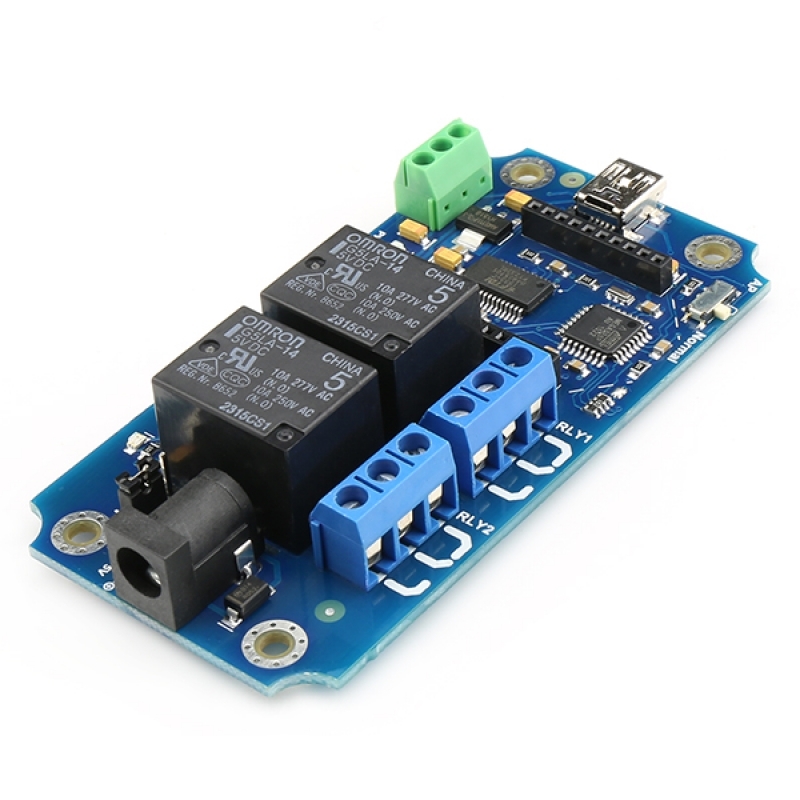 The TOSR120 provides four volt free contact relay outputs with a current rating of up to 10Amp each. one DS18B20 temperature sensor port. 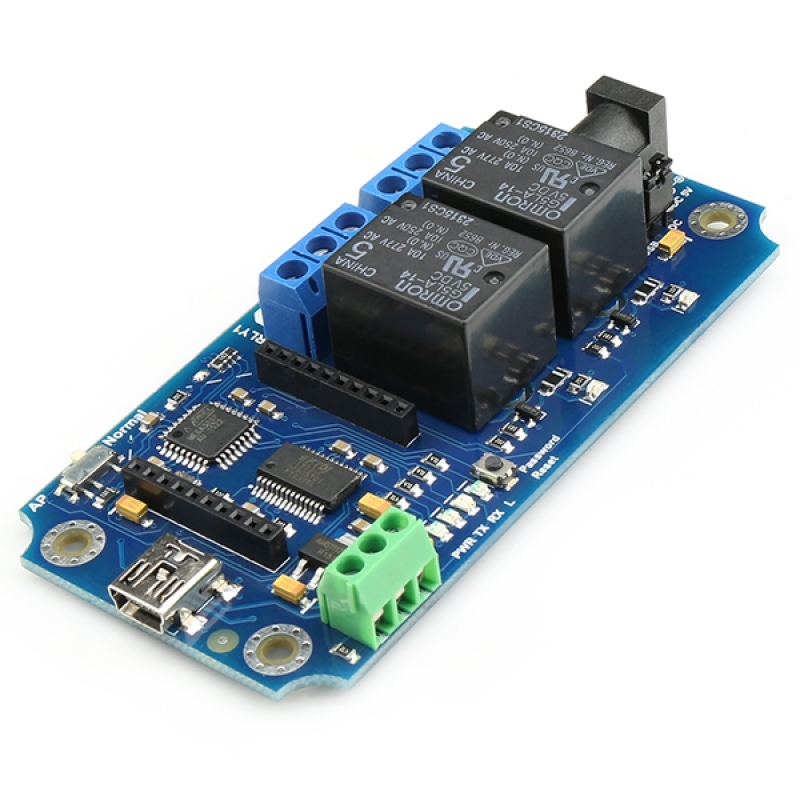 The module is powered from a 5VDC power supply(or USB). The DC input jack is 2.1mm with positive core polarity, The relays are SPDT types. If you want power it with DC12V or 24V, you just need a 12V/24V-5V DC converter. 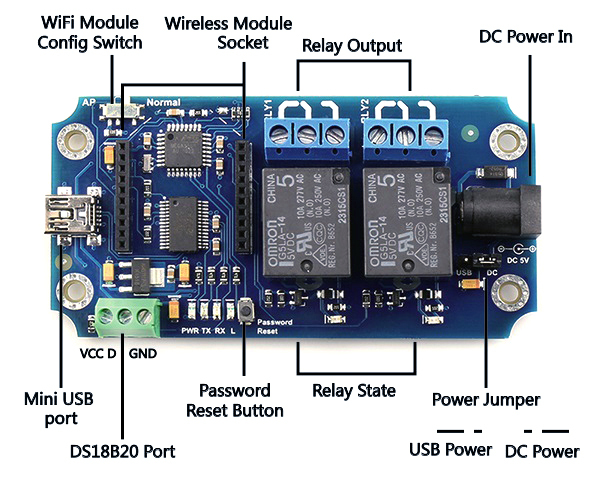 The TOSR120 module uses FT232RL USB to UART chip . Before using the TOSR120 you will need to download the FT232RL Driver. Connect the TOSR120 and windows will detect it and ask for the drivers. Point windows to the inf folder and it will install the driver. The TOSR120 will now appear as a com port. 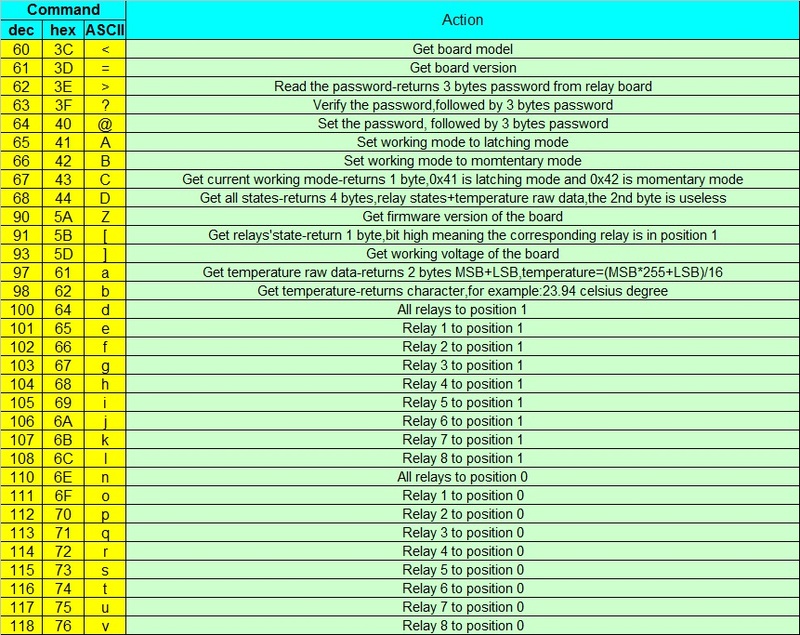 The TOSR120 operates with an easy to use command set as described in the table below. To get the TOSR120 up and running in the minimum amount of time we have put together an example program to demonstrate the functionality of the module.